Greetings from Davos! The eyes of the world are trained on the city right now for the Annual Meeting of the World Economic Forum. The thousands of participants that descended on Davos were aware that the Annual Meeting is usually a place where one is tested intellectually. Many newcomers discovered, however, that they would also be confronted with a different set of challenges: Davos has simply given up clearing its streets from the deluge of snow. Participants sliding their way to the conference have become a common sight. 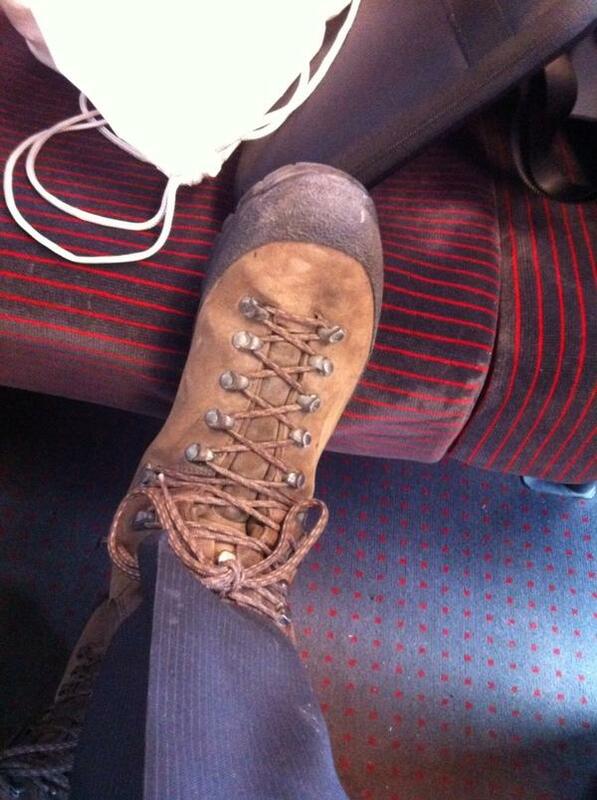 One can distinguish the veterans from the greenhorns by their choice of footwear. The first-timers are in leather shoes and high heels, while the more experienced are pairing their suits with trekking boots, which makes for an odd-looking but practical combination to survive Davos unscathed. 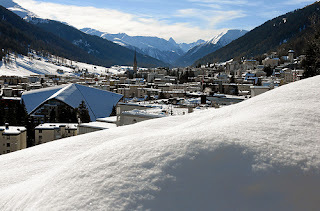 Here are some other practical observations from my perch in Davos. The World Economic Forum is often criticized for getting their assessment of the big issues wrong and addressing them too late. Let's hope that this time, that criticism will prove unfounded. Compared to last year's Annual Meeting, the atmosphere this time around has greatly improved. Last year, each session and, more importantly, the lobby talk centered on whether the euro, the European Union and the entire world economy were headed for failure. This year, there is a growing sense that the worst of the euro crisis is over. This sentiment was echoed on the panel "The Global Financial Context", most prominently by Axel A. Weber, Chairman of the Board of Directors at UBS, Switzerland and James Dimon, Chairman and CEO at JPMorgan Chase & Co. There was widespread praise for European Central Bank President Mario Draghi, International Monetary Fund Managing Director Christine Lagarde and German Chancellor Angela Merkel for the "resilient dynamism" they exhibited in handling the crisis. While the outlook is considerably less gloomy, people remain cautious. The questions emerging now pertain to the growth prospects of the world economy. Once again, Europe has been thrust to the forefront. In a speech in London on Wednesday, British Prime Minister David Cameron offered Euroskeptics a concrete alternative by pushing for a referendum in five years to leave the European Union or to stay on under new terms. Apart from discussions about growth, other topics that animated today's Davos chatter were the phenomena of re-sourcing, in which companies relocate their production back to the West due to diminishing labor-cost advantages; and de- or re-globalization, in which policies of regulation and economic necessity push countries toward greater nationalization of industries. Roland Berger Strategy Consultants CEO Dr. Martin Wittig agrees that Europe is going to be a driver of growth. In a workshop entitled "The Europe Context", he called on the EU to increase its regulation of financial institutions and to focus on service industries, which can be an engine of job creation. It has been a fascinating first day of discussions and ideas. I suspect that in the coming days, just like the uninitiated in Davos, we will soon find sure footing. Check back periodically, there's more to come. Get real-time updates from Torsten Oltmanns in Davos. Follow him on Twitter: @TorstenOltmanns. Photos: The World Economic Forum and Herman Betten on Twitter.